State of the art dual function meters with two environmental sensors housed in a remote wand. The sensors can be placed right where they are needed. This meter features triple LCD displays, RH and temperature readings simultaneously, and a second K type thermocouple port. 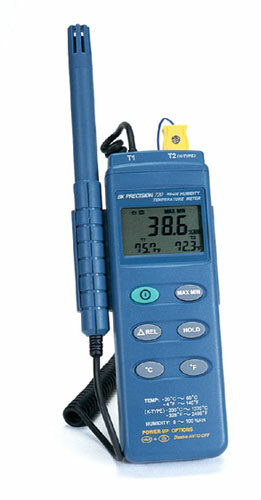 Replacement thermocouple temperature probe for meters with K-type thermocouple inputs. PTFE insulated wire with exposed junction allows for fast air, gas, or general purpose measurments.